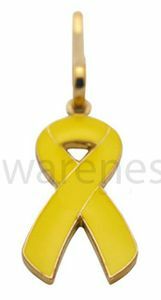 Childhood Cancer Ribbon Zipper Pin- The winter is headed our way and what better way to show your support than to add a zipper pin to your jacket. They connect right onto a zipper pull. Yellow for childhood Cancer Awareness. Yellow for Childhood Cancer Awareness.